Remove distance limitations with flexible, scalable networked AV solutions that deliver visually lossless UHD video with ultra-low latency over a standard 1Gb network. 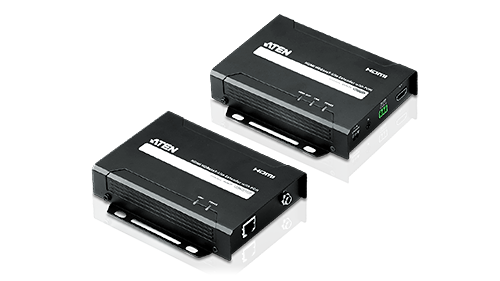 Efficient transmission of UHD video, audio, Ethernet, power, IR/RS-232 control signals via Cat 5e/6a/ATEN 2L-2910 cable up to 1080p@150m for home and pro AV use. 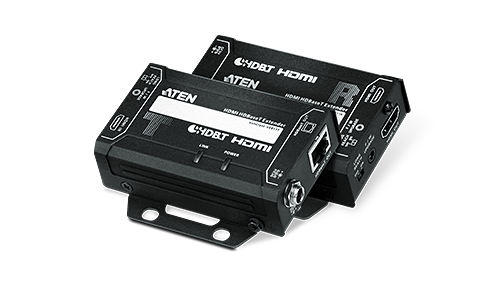 Cost-effective transmission of UHD video, audio, power, IR/RS-232 control signals via Cat 5e/6a/ATEN 2L-2910 cable, up to 1080p@70m for home and pro AV use. 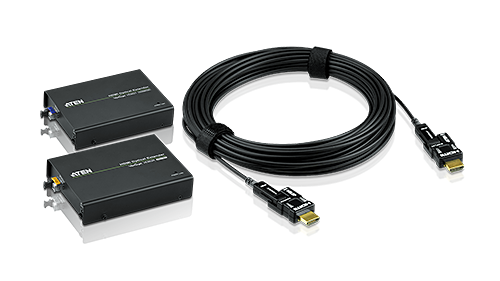 Extend HDMI/DVI/VGA and audio signals while concealing cables, via HDBaseT / Cat5e/6/2L-2910 up to 4K@100m (HDBT Class A), 4K@40m (HDBT Class B), and 1080p@40m. Transmit 4K HDMI up to 10km and 1080p up to 20km, plus True 4K HDMI 2.0 Active Optical Cable that is EMI-resistant and fully compliant with HDCP 2.2 standards. Convenient location flexibility and line-of-sight 1080p wireless transmission up to 30m, with uncompressed FHD video quality, zero latency and high hacker protection. Solutions utilizing equalizer technology that connect via Cat5e/6/6a cables with support for HDMI/DVI @1080p up to 40M and VGA @ 1280x1024 up to 200m. Amplify and transmit signals to increase distances with support for DisplayPort 1.2a and HDMI @ True 4K up to 20m, 1080p up to 40m, and VGA @ 1280x1024 up to 70m. 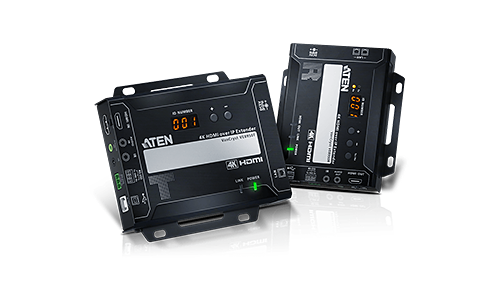 As a Contributor member of the HDBaseT Alliance, ATEN delivers added benefits of HDBaseT™ technologies to its products, enabling the next generation of connectivity. 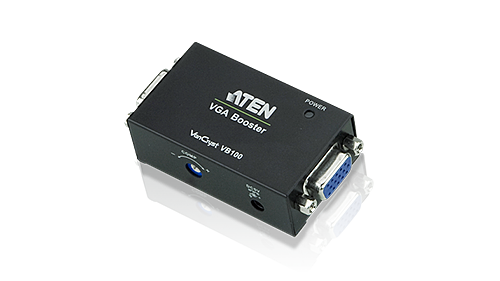 Deliver lossless 1080p / 4K AV signals with low latency over long distance via a Gigabit network with ATEN’s latest VE8900 / VE8950 4K HDMI over IP Extender. This guide provides the best practices for installing Ethernet cable with HDBaseT setups. 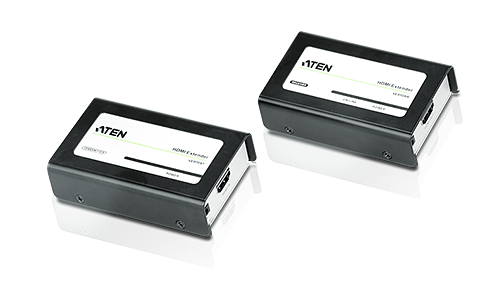 ATEN’s best practice guidelines for network structures and configurations of the VE8900 / VE8950 HDMI over IP Extenders. 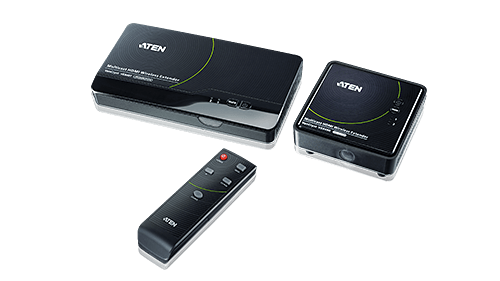 In this tutorial, you'll learn how to setup and configure ATEN's VE89 series Video over IP extenders. 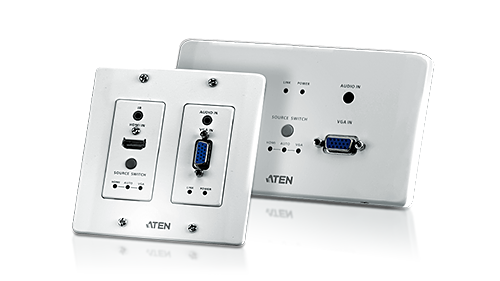 ATEN wireless extenders perfectly stream Full HD digital content from multiple sources to multiple displays without any cables necessary.